Mara’s Blog » Happy Third Birthday! 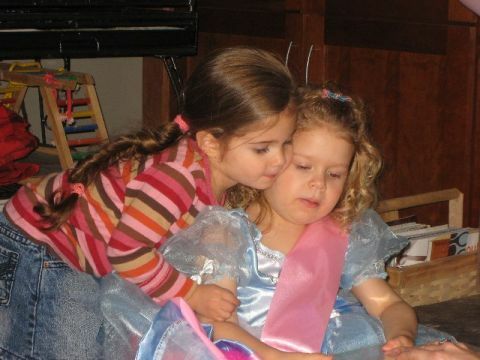 Mara’s real birthday has yet to come, but yesterday we celebrated with a little party at the house. 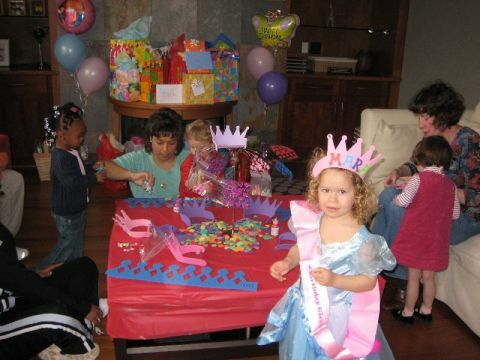 It was a Prince and Princess party for our little one. The kids had quite a bit of fun making crowns and tiaras at a craft station that mom put together. We also played pin the crown on the princess too. There were some other games that we had planned, but really the kids just wanted to play with toys and it would have been like herding cats to get them to do much else. As it was, we passed two hours along in no time. This party was pretty special because there were quite a few children that came that Mara has not seen in a long time. Since leaving Primrose for daycare, she hasn’t seen her former classmates and they were nice enough to come see her. Thanks! We took quite a few pictures and tried to catch one of all the kids that came. Sorry if we missed you! It was chaos. Birthday princess surveys her kingdom. Presents are better with buddies. 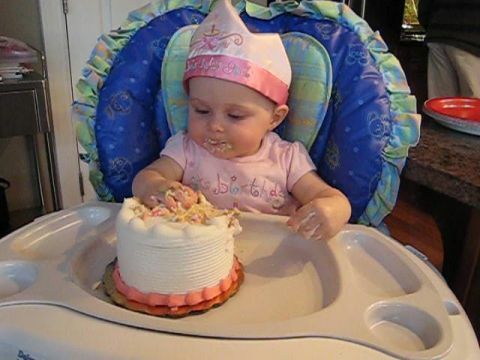 Cousin Grace is turning one and her birthday is really close to Mara’s, only two days before. So she was in town to celebrate as well with the family, and she got a cake of her own. We also got some video of her. Here is the smaller of the two files. Auntie Jen, we will have to send you a link to get the other one and download it. 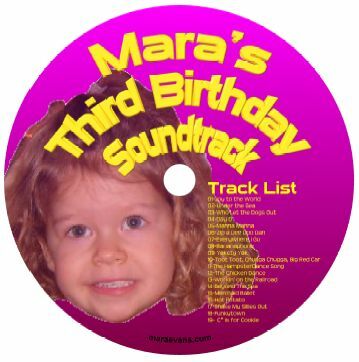 All partygoers got to leave with a CD of songs that we played at the party. If you didn’t get one let us know. Aunt Pat, you are the perfect example of why we put this stuff up. Wish you were here! We missed you.